Why Choose Smart Security System? 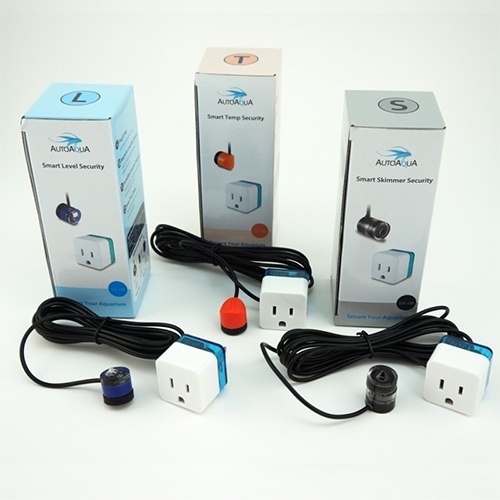 Smart Security System consists of three separate penny sized optical sensors set to Safeguard your aquarium against common malfunctions. 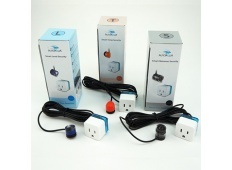 Each Sensor is pre-programmed and magnetically couples for easy installation. The Smart Skimmer Security is an contactless optical sensor that magnetically couples to the skimmer cup to prevent skimmer overflows. No moving parts to service or fail. Magnetically coupled sensor makes it super easy to install and adjust the desired level on the collection cup. No need to purchase new lids or modifications to the collection cup are needed for installation. 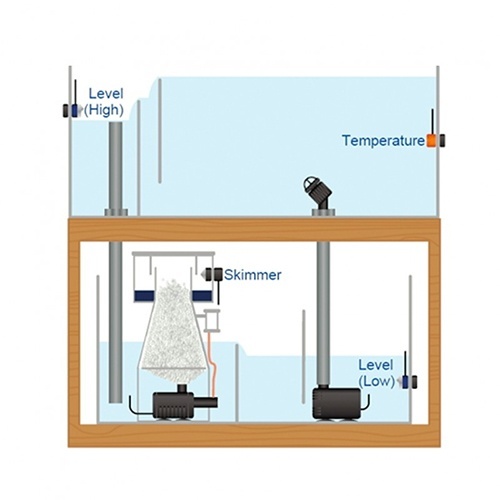 As the level in the cup goes too high, Smart Skimmer Security will shut down the skimmer immediately to prevent your skimmer from overflowing. Auto time delay function prevents false alarm due to power outages. 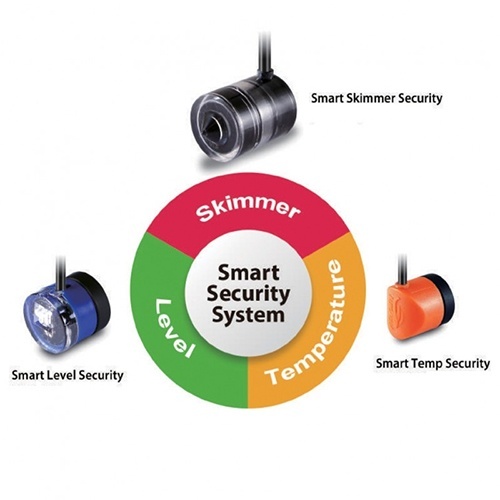 Smart Temp Security uses a super tiny temperature sensor to secure the aquariums temperature. Magnetically-coupled sensor makes it so easy to install. Featured with Plug and Play design, no setting is needed. When the temperature is higher or lower than the securing range, it will turn off the heater or the chiller immediately and give an alert. Auto time delay function prevents false alarm due to power outages.